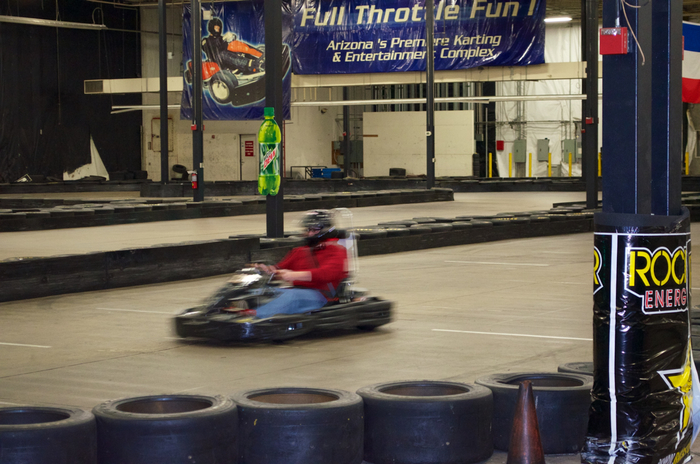 Unlike many kart houses, the one that I went to here in Phoenix actually has gasoline powered carts. Producing roughly 8HP, they have a top speed of 45 MPH. Sure, that doesn’t sound like very much to you JCW drivers, but when you put that in a chassis that rides about 1/2″ off the ground, rolling on wheels and tires that are about 5″ in diameter, total, it’s amazing the sensation of speed you get. We used Track #1. 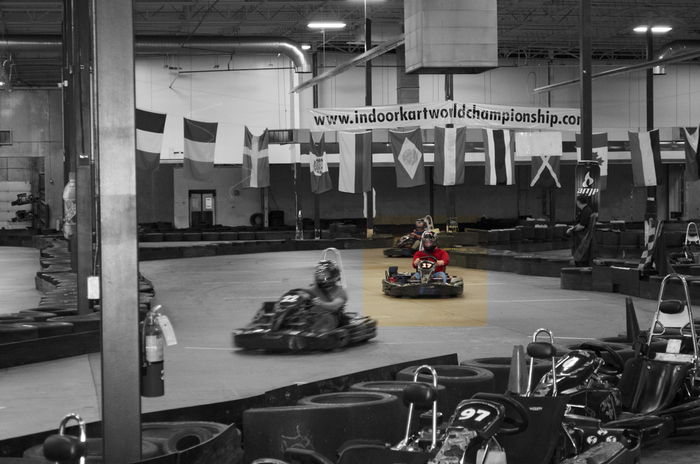 By looking, you can tell it’s not as technical as Track #2, but it was fast! 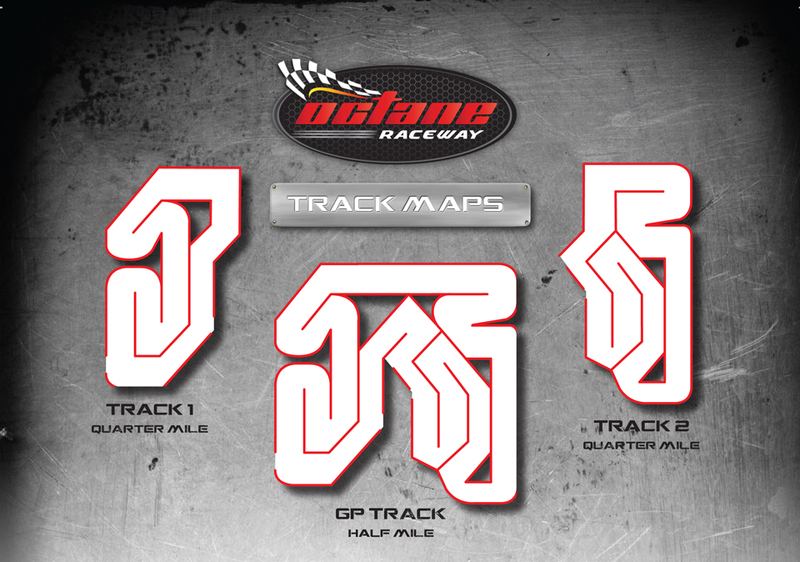 From the top middle to the bottom middle was a full throttle assault, reaching max speed before a few taps on the brakes to bring things into position for the back-to-back hairpin, followed by another set of hairpins that were much easier to straighten out. Rinse, repeat. 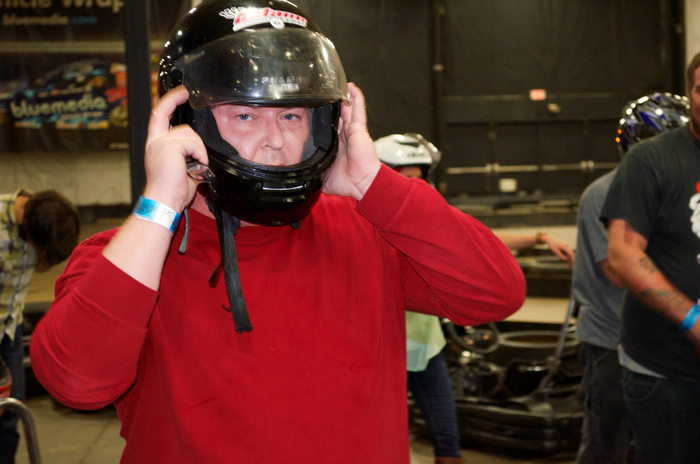 With this being my first time in karts, but not my first time in a ‘racing’ environment, I was hopeful that my times would be passable. At the very least, middle of the pack for my group from the office. I under estimated my abilities with my first lap garnering the fastest time and keeping the #3 spot through the first heat of 2 races. Not too shabby. But, I’m out of practice. My arms were on fire and didn’t stop shaking for about 15 minutes after the run. Part of the problem was that I didn’t adjust my seat properly. I really wish that I did. My arms were done and caused my remaining sessions to suffer. Session #2 I was able to cut almost a full second off of my time, but was only able to run about half of my laps at full tilt. Even with my seat moved as far forward as it would go, the damage was already done. Still, a second is a ton when a lap is taking less than 25 seconds. And, it was enough to get me into the final heat! Where I ran about the same times as the session before, finishing overall in 8th place with my fastest lap of the final being 24.870. Fastest of the day was a 24.759 on lap 15 of my second session. Fastest time for the day of our group was by the 1st and 2nd place guys in the final, posting a 23.871 and 23.926, respectively. Fast enough to put them into the overall top 10 for the month! And yes, I did notice that I was 1 full second behind them. Good time was had, and I will be doing this again, just not right away. My arms are still toast and I’m having a very hard time even holding a cup of coffee today! Really need to get back to the gym, and soon, since there is talk around the office of starting a weekly series on Wednesday nights after work. I might be down for some of that!